Apple’s personal assistant Siri can be helpful, fun or just plain frustrating. 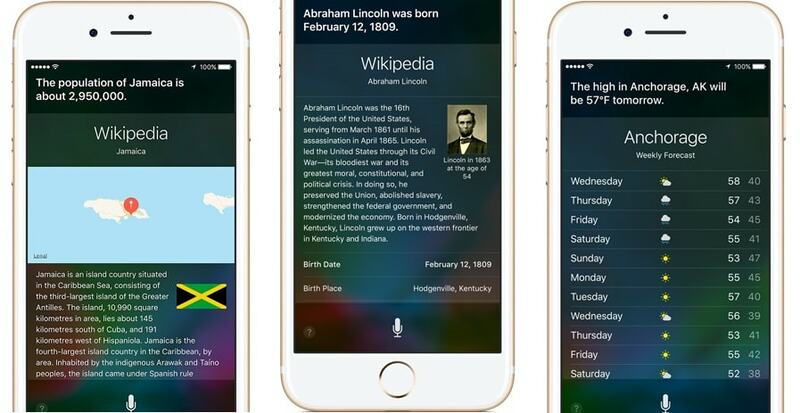 Here are 5 things Siri can do for you. For most people Siri uses Google, but you can say things like “Search Wikipedia for Phoenix” or “Bing weather”, and of course you can always say “Google” as well. Say “Siri, show me my tweets” or “What is the associated press aim on Twitter” and then pops up the latest tweets. When you see Siri’s response and notice that some words are underlined, you can tap those words to fix mistakes or you can try saying “That’s not how you pronounce that”, then she will ask you how to say it properly. If you hear a jet flying overhead and wonder what flight it is, ask “What plane is flying over me?” then she’ll give you a list of aircrafts, their altitude, and what angle they are flying. If you are on a diet you can also ask Siri how many calories are in your food. Try asking “How many calories are in a turkey sandwich?”. If you need a little help figuring out what Siri can do for you, tap the question mark down at the bottom left of your screen and pops up a screen that shows many examples of commands you can give Siri.